Are you finding it difficult and time consuming to handle the increasing amount of parcels and other inbound receivables your business has coming in every day? Do you sometimes lose track of them? 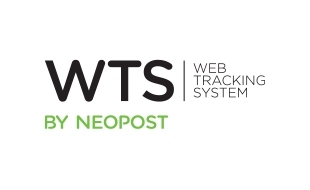 Neopost’s Web Tracking System is designed to make sure you never do. Our all-in-one solution is comprised of recording and labeling software, a hand-held device for tracking, and a web-based reporting system, allowing you to track all inbound parcels within your organization in real time, whether it’s in receipt, transit or delivery.